The first shots have been fired as the FIA have outlined their plans for the future of Formula One’s engines in the post 2020 era but unsurprisingly there is already push back from some of the current engine suppliers. On the face of it the draft outline for 2021 looks to solve some of the key issues that many have had with the sport since it fully embraced hybridisation in 2014 - cost, noise, performance and reliability. These are the cornerstones that I also highlighted in a recent article that looked at how the sport could best moved forward, rather than backwards as it heads toward 2021. "When you look at the bullet points presented, it looks like no big change and is superficially similar - but there's massive change in there. "It's all-new engines, with new harvesting and deployment strategies for energy. "All of us accept that development costs and sound need to be tackled, but we shouldn't be running away with creativity in coming up with new concepts, because it will trigger parallel development costs over the next three years." Wolff raises a very good point here, in that we must bear in mind the financial burden the manufacturers have been put under in order to meet their objectives and maintain a glide plane through to the end of 2021. 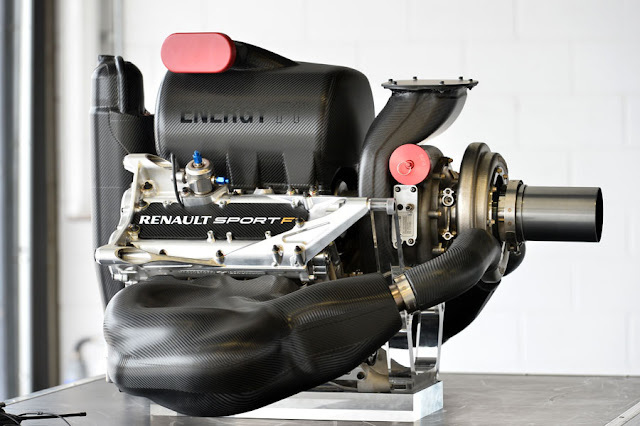 Lest we forget that these targets have been moved more than once already, with the homologation and token systems being abandoned allowing an almost carte blanche development of the powerunit. This has come at a cost that was not already budgeted for by the manufacturers and cannot be recouped by increasing cost to the supplied teams due to the financial pressures and limits already placed on them. Sure, you could argue that they don’t have to spend that money but would you willingly give up that kind of advantage to your rival? We must also consider that once these regulations have been fully defined, of which the end of 2018 has been targeted, Mercedes, Ferrari, Renault and Honda will all have to apportion budget toward the 2021 engine too, whereas any new entrants will be able to focus their full budget on their design. "Renault's proposal for six months now has been to keep the current engine but waiving any restriction in terms of fuel quantity, plus moving the fuel flow limitation and also the rev limit," added Abiteboul. "The great thing about that proposal is you could do that without having to wait until 2021. "The world is changing quickly; by 2022, a number of car makers will have moved to something that's more electrified than today, so I think the timing to decide now what we want for the period 2021 to 2026 is maybe not appropriate." It’s interesting because this proposal also shortens the timeframe to market too and gives the likes of Aston Martin, Porsche, Ilmor, Cosworth etc the time to evaluate an entry (2019-20) and develop their own concept inline with the new commercial agreements that will be in place for 2021, a soft launch if you will, something I imagine Honda would have rather enjoyed. "F1 needs to stay attractive for the current engine suppliers and then F1 should be attractive for new entrants," he said. "This is the order of priority. "We need to enter into a dialogue now to come up with a concept that functions for everyone, and we are keen to enter into that." Again I cannot iterate this point more firmly, attracting new engine manufacturers is great, but who are they going to supply? We already have a situation where one manufacturer supplies only one team/customer and suffers from a proving and data point of view relative to the others because of it. Diluting the supply chain further not only makes budgeting in the first instance difficult but also relies on sustainability and a finance and resource buffer if, as tends to be the case in F1, someone steals a march and everyone must play catch up. Just one small point on noise. Surely removal of MGU-H just changes duration of noise, not strength/volume, which only changed a bit with other attempt, screamers being the best. Of course there were also silly other methods such as megaphones. Why wasn't noise an issue during the previous turbo era of F1. Where is the fundamental/technical difference? Indy cars run 2.2l turbo ICE. I don't remember seeing any massive campaign on the quality of their noise. In any case, what is the fan base now compared to previous era, live attendance to TV. TV can only be a noise quality issue, not a volume one, so among ALL stakeholders, what is the noise issue and who important, especially as noise = energy and most people want energy to go to the road for racing. I do not know if you have ever visited an F1 race before. But if you have ever been to an F1 race in the pre hybrid era, you would most likely understand that the sound was one of the most important reasons fans would visit a race. Ofcourse it would sound different on tv but I do think most fans really miss that high pitched screaming sound.